As the saying goes, “April showers bring May flowers.” If April wasn’t the revitalizing dose of springtime you were hoping it would be, the month of May will certainly not disappoint. It’s time for the vibrant colors of fresh blooms to drip into the street, and for the sun to finally begin shedding some warmth on our skin. 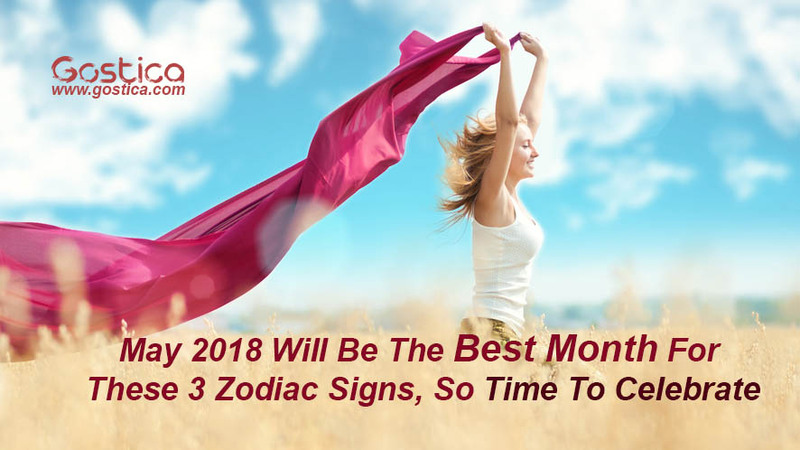 If not even the butterflies hatching from their cocoons is enough to make you swoon, maybe the fact that May 2018 will be the best month for these three zodiac signs will: Taurus, Gemini, and Capricorn. The month of May is shaking off the monotony with some replenishing planetary transitions. Mercury moves into Taurus, crystallizing your words with meaning. Uranus follows suit into Taurus, bringing change that starts from the ground up. Mars enters Aquarius, focusing your vision on the bigger picture. Venus will dance into Cancer, turning the volume of your romantic inclinations all the way up. And most exciting of all, the sun will move into Gemini on May 20. The fun will be all champagne-fizz, light-hearted smiles, and twirling under the green-speckled sunshine. To cap off what’s bound to be an iridescently beautiful month is a full moon in Sagittarius, breathing an appetite for adventure into your soul. I promise you, May is only the beginning of something even grander. The sun has been in your first house since April, shouting your name for the heavens to hear. This has flushed you with an overall sense of confidence and pleasure. From head to toe, you’ve felt comfortable in your own skin. As the sun shifts into Gemini on May 20, you won’t lose that power; it will simply be transferred into your second house of money. Who could complain about that? Your earning power will reach new heights, especially with Venus joining the sun in your second house as well. You could probably get someone to pay you just by winking at them, honestly. Uranus also creates startling change by moving into your sign on May 15. Since this planet is all about propelling the world into a better place, you’ll feel the walls surrounding you begin to fall away, allowing exciting new prospects to enter your life. The majority of this month will be centered on your spiritual awareness. You’ll feel deeply connected to your emotions and in touch with the world around you. There will be a peaceful understanding of where you’re at — a contentment with living in the moment. The fact that Uranus also moves into your twelfth house of spirituality causes a revolution within. You’ll be learning new things about yourself and your perspectives will transform. You will feel like using this harmonious energy to infuse your career with your individuality. With Venus taking your charisma to new levels in your own sign until it moves into your second house of money on May 19, you’ll definitely be able to find a groove in your daily routine that works for you. Your fifth house of pleasure and entertainment has been receiving grounding energy from the sun in Taurus since April. This will continue for the majority of the month, and your spirits will remain high as you take time to enjoy yourself. The possibility for fun and excitement is only multiplied when Uranus, a planet that uproots you from your comfort zone, also moves into your fifth house. Through your adventures and joy for life, you’ll learn so much about what makes you happy. These revelations will likely show you how to enjoy the process of making money since Uranus is also your career planet. It’s during your indulgence that you may realize what you should be doing with your life. Perhaps you’ve been working a job that doesn’t utilize your talents or a job that has bored you to tears for too long. With Uranus on your side, you’ll be able to shake things up until your dreams feel much closer in reach. I have become happy to know all these from your kind self.